One of the stars of Bravo’s hit series Million Dollar Listing Los Angeles reveals his trade secrets, offering aspiring entrepreneurs and established professionals tips and insights to help them outsmart the competition. 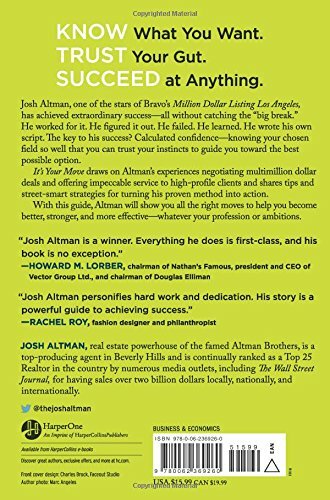 Josh “the Shark” Altman has achieved extraordinary success in a traditional industry and in the most competitive real estate market in the country—all without being “discovered” or catching the proverbial big break. He worked for it. He figured it out. He failed. He learned. He wrote his own script. 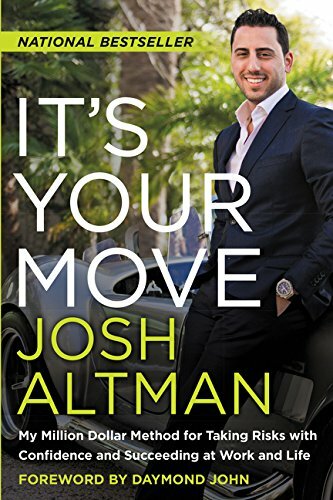 In It’s Your Move, one of the stars of Bravo’s hit TV series Million Dollar Listing Los Angeles shares invaluable and street-smart strategies for how to build your confidence, establish your reputation, master the knowledge you need to succeed, take the right risks, and course correct when you make a mistake. Drawing on his experiences negotiating multi-million dollar deals and offering impeccable service to his celebrity and high-profile clients, Altman shows you all the right moves to help you become better, stronger and more effective—whatever your profession or ambitions.